PCI 4.X Compliant, future proof device that which meets all EMV requirements. Interact with your customers in ways that were never before possible with Ingenico sleek new iSC Touch 250 "" the fast, secure PCI PTS V4.0 approved payment solution that energizes your brand and loyalty-building programs. Combining signature capture and touchscreen technologies in a robust, compact design, the iSC Touch 250 showcases a full range of revenue producing promotions "" ads, videos, couponing, targeted up-selling and cross-selling opportunities, gift card sales, extended warranties, digital signage and more "" on a colorful, interactive, high-resolution touchscreen display that engages and involves your customer throughout the payment process. 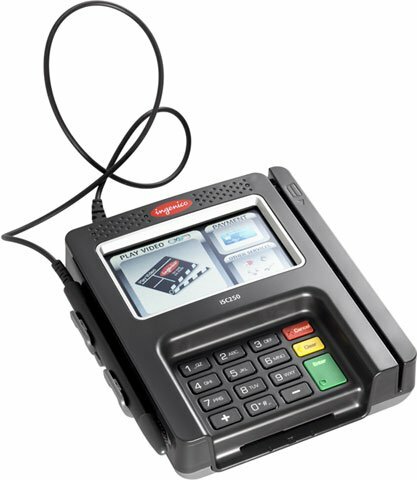 Signature Capture, 4.3" Screen, Color Display, PCI 3.X device, Video/Audio Capability EMV, NFC enabled. Power supply and cables sold separately. Requires key injection in order to accept debit or credit card payments. Please call for more information. V3+V4, Contactless, Audio Jack, Color Display, Tailgate, EMV Capable, Requires key injection in order to accept debit or credit card payments, Please call for more information.